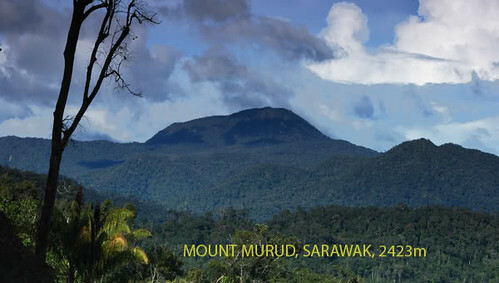 Bario Highlands is located at the border between Kalimantan and Sarawak. It is the unofficial capital of the Kelabit Highlands, home of the Kelabit tribe who are known today for their friendliness and hospitality, overshadowing their traditional past being headhunters. The Kelabit at approximately 5000 people, are one of the smallest ethnic groups in the state of Sarawak. Historically, they are a community that inhabit the Kelabit Highlands, a plateau with an altitude approximately 1000 meters above sea level and situated above the furthest reaches of the navigable rivers of Baram and Limbang Districts of Northeastern Sarawak. The community is known for its agriculture, mainly growing Bario rice and sweet pineapple. There are even apples (Anna, Rome Beauty, Granny Smith and Manalagi varieties) grown in Ba’Kelalan – a short flight north east from Bario or 2 days trek. It had taken the Paran brothers over 20 years to harvest the apples successfully. 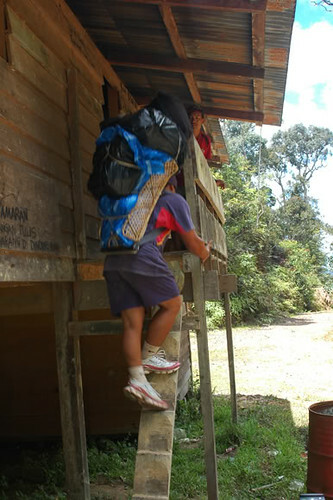 The natives here are of the Lun Bawang tribe. The tribes of Kelabit and Lun Bawang were once expected to be heading in the direction of extinction due to alcohol abuse, disease and fighting amongst the tribes. It was during the early 20th century when visiting missionaries began spreading Christianity that the community shed many of its paganistic practices to lead a healthier life. Today, the Kelabits represent one of the most well educated tribes whose descendants are studying and working all around the world. One of the other things that Bario is famous for, is their salt. Lubang Garam Pa Umor is one of the best-known Bario salt springs. The spring water, containing brine from lubang Garam Pa Umor, is boiled for 24 hours before the salt is extracted.The Bario salt spring looks just like an ordinary spring. The only difference is the water from the spring is salty. The salty water is boiled until all the water is evaporated, leaving the salt at the bottom of the “kawang” (big cooking utensil). 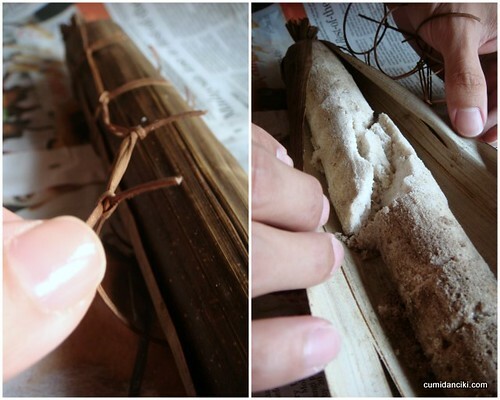 The remaining water is completely dripped from the salt before it was put in bamboo pipes to be burnt in the fire. 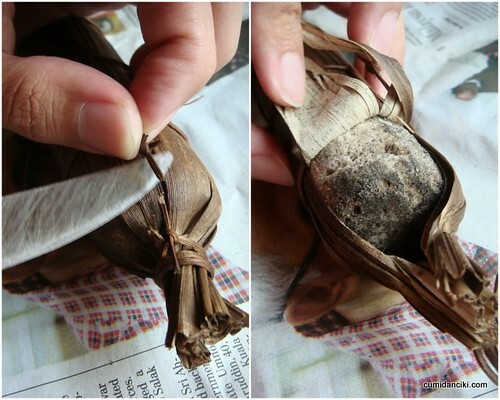 This is to harden the salt, which is later wrapped in big leaves to be kept in dry and safe places. The salt is used in cooking and also to preserve meat. 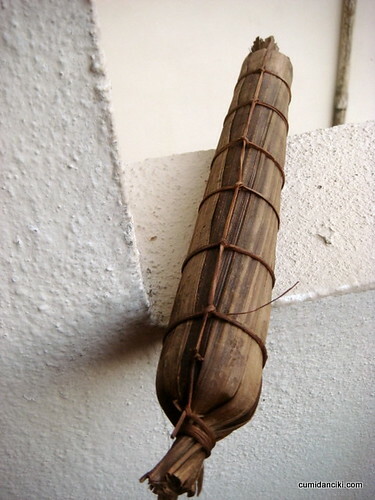 Bario Salt is wrapped in leaves and sold in this cylindrical form in the markets. yea, agree – it is healthy and not too expensive. A great gift indeed! wow, for you sean – the guy in the lap of luxury.. i am seriously impressed!!! when ru off again babes? wah…this is interesting to know…u r a sarawakian? LOL, no la.. r u? oh wow, how educational! Thanks C&C. U’ve enriched my life in so many ways. thank u darling.. feeling is mutual! interesting! I wonder how it tastes like?!! Very nice article! Bario is a place I’ve always wanted to go to, but you’ll have to get there from Miri. I love their rice! me too.. i love the rice, the pineapple.. now, the SALT! woo looks good!! feel super healthy!!! Never heard of this, good info. Well, one thing for sure, its definitely better than processed salts, god knows where those comes from. mimi, yes bario salt – very popular.. ! ooo i only knew of their rice and this is a first to me. salt on pineapple, slurps! now you are making me hungry.. what’s for tea.. ?